It means that at some point there has been inflammation in the liver and possibly necrosis (cell death). Inflammation is an invasion into the liver from the bloodstream of different types of white blood cells that are active in the immune system. Necrosis refers to the death of large numbers of liver cells. 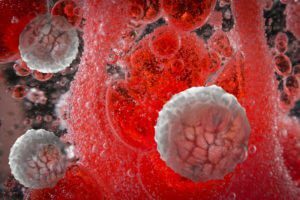 The invasion of white blood cells and cell death can be due to previous damage to the liver by infectious agents, such as viruses or bacteria, or a result of toxic damage. Toxic damage can be caused by poisons ingested by the dog or by an accumulation of substances made by the body. A primary attack by the immune system against liver cells can also cause inflammation and cell death; this condition is known as “autoimmune” disease. Cancer can result in similar liver damage, but if cancer is identified in the liver, the term chronic hepatitis is not used. The clinical signs associated with this condition vary greatly as a result of the multiple functions of the liver. The most common signs may include a mild to marked decrease in appetite, lethargy, vomiting and diarrhea. Your dog may also drink more and urinate more, have a swollen belly filled with fluid (ascites), and have a yellow (jaundiced) tinge to the skin, ears and gums. Occasionally, dogs exhibit strange behavior or neurologic signs, such as severe lethargy, depression, aggression, blindness, standing in corners, pressing their heads into walls or corners, and, infrequently, loss of consciousness, seizures or coma. Sometimes chronic hepatitis is suspected and can be diagnosed before your dog develops clinical signs. Liver disease may be suspected from blood work, your dog’s symptoms and a physical examination performed by your veterinarian. Confirmation of liver dysfunction is achieved with a variety of blood tests. Imaging techniques such as radiographs (X-rays) and abdominal ultrasound are also commonly used to assess the size and appearance of the liver. Dogs with chronic hepatitis can have small, irregular livers and some dogs develop blood vessels that allow blood to bypass the liver and free fluid to accumulate in the abdomen (ascites). A liver biopsy is the only definitive way to diagnose chronic hepatitis. A biopsy can be performed surgically, via laparoscopy, or through the skin using a special needle under ultrasound guidance. Ultrasound-guided biopsies, regrettably, are not as informative as surgical or laparoscopic biopsies. The information obtained from the biopsy is necessary to determine the type and severity of liver disease as well as to allow an assessment of your dog’s prognosis and outline appropriate treatment options. 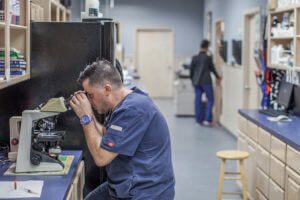 In certain circumstances, your veterinarian may recommend ultrasound-guided aspirates of your dog’s liver under mild sedation as a less invasive initial procedure before more invasive tests are considered. 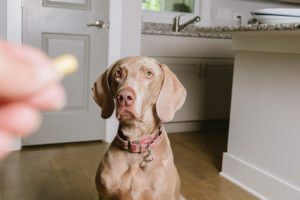 Treatment of chronic hepatitis is complex and is determined by the severity and type of disease process in the liver, as well as the clinical signs exhibited by your dog. Hospitalization, intravenous fluid therapy, and supportive care may be necessary in severe cases. Medications commonly used in this disorder include antibiotics, immunosuppressive or anti-inflammatory agents, medications to help prevent gastric ulcers, diuretics to promote fluid loss, and in some instances, low protein diets. Additional medications are also used in specific instances, such as in dogs whose disease is associated with copper accumulation or in dogs showing neurologic signs. Unfortunately, despite treatment, this condition is usually not curable. However, many dogs can be kept relatively free of clinical signs and have a good quality of life for months and even years with continued therapy. Blood work will need to be done on a regular basis to assess response to therapy and make adjustments to medications.